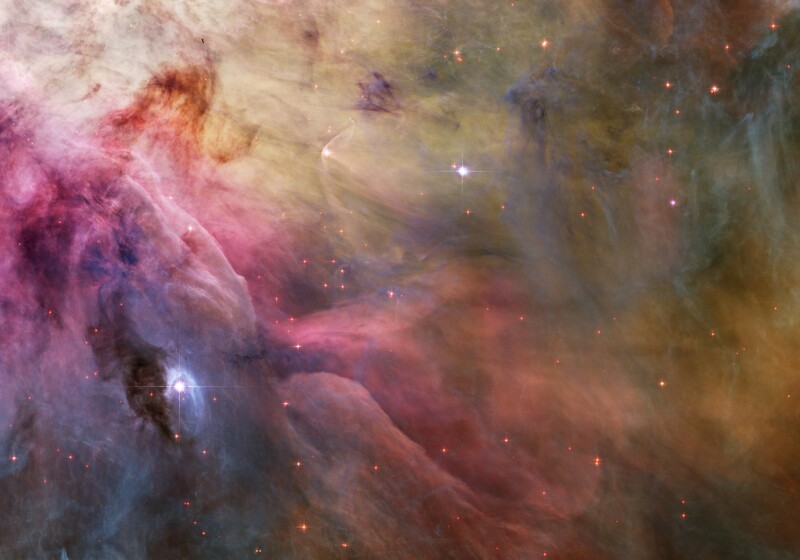 Explanation: This esthetic close-up of cosmic clouds and stellar winds features LL Orionis, interacting with the Orion Nebula flow. Adrift in Orion's stellar nursery and still in its formative years, variable star LL Orionis produces a wind more energetic than the wind from our own middle-aged Sun. As the fast stellar wind runs into slow moving gas a shock front is formed, analogous to the bow wave of a boat moving through water or a plane traveling at supersonic speed. The small, arcing, graceful structure just above and left of center is LL Ori's cosmic bow shock, measuring about half a light-year across. 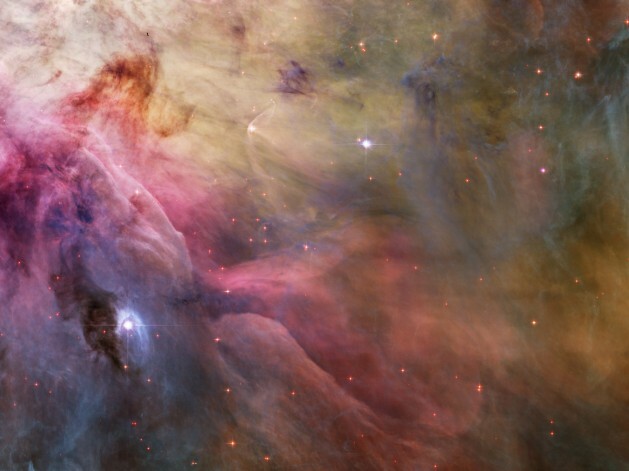 The slower gas is flowing away from the Orion Nebula's hot central star cluster, the Trapezium, located off the upper left corner of the picture. In three dimensions, LL Ori's wrap-around shock front is shaped like a bowl that appears brightest when viewed along the "bottom" edge. The beautiful picture is part of a large mosaic view of the complex stellar nursery in Orion, filled with a myriad of fluid shapes associated with star formation. Tomorrow's picture: Is it the weekend?